Bike to the Health Fair! Home / Abundance • Bend Advertising • Bend bike club • Bend Bikes • Bend Health & Wellness • Bend Health and Wellness • Bend Health Events • Bend Health Guide • Bend Healthy events • Bend Lawyer • Bend Meetups • Bend Moms • Cycling • Holistic Health Bend • Holistic Health Directory in Bend • Holistic Health Expo • HSA • Insurance • Massage • Midwives in Bend • Online Health Directory Bend • Physical Therapists in Bend • Reiki Classes in Bend • Wellness Coupons in Bend • Women's Health • Women's Health Clinic in Bend • Yoga Studios / Bike to the Health Fair! 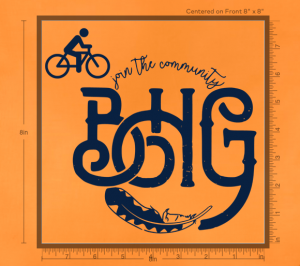 Get a BHG Bike Club Swag Bag! 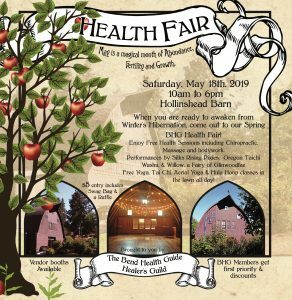 We had such an overwhelmingly positive response to our Bike to Health Fair Video that we created a Cycling Posse to meet at Crows Commons in Downtown Bend at 9am & then Bike Together to the Health Fair at Holinshead Barn!!! These are the special Swag Bags we have made just for Cyclists!!! Join our Bend Health Guide BICYCLE DISTRIBUTOR BILL & others to ride your bike to the Fair & recevie one of these beautiful BHG Bike Club Swag Bags!! !